Based in London, Rugie Wurie traded life climbing the corporate ladder in multimedia business development for her true passion – Weddings! 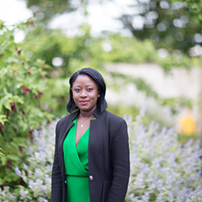 She worked for key media companies including the UK’s national news agency Press Association among others .Started in 2010, Rugie – a married mum of two – began Mrs Wedding Planner. In the past 6 years, Mrs Wedding Planner has grown from an ideal hobby to a full-service luxury wedding and event planning service. Rugie – now a mum of three and still happily married – continues to follow her passion with the assistance of her team, helping couples realise their own dreams, curating contemporary weddings and specialised events. Today, Mrs Wedding Planner is globally focused providing clients with the finest in luxury event services, whether at home in the UK or at an international destination of the client’s choice.